My first stop in Spain is the Rioja region, a large producer of Tempranillo wine. When it came to writing a post on this region, I instantly thought of my brother Seth Nichols, Editor of the Psychedelic Grape. One of his favorite grapes is Tempranillo, so he is the best person to give his insights on Rioja and the wine produced there. Spain is one of the largest wine producers in the world, and wines from the Rioja region are among the best in the country. Rioja is divided into 3 districts, Rioja Alta, Rioja Alvesa, and Rioja Baja. Most red Rioja wines are blends of Tempranillo, Garnacha, Mazuelo, and Graciano. Wines from Rioja Alta are considered some of the best in Rioja, these wines being full-bodied with good fruit characteristics and excellent balance of acidity and tannins, along with velvety smooth finishes. Bodegas Breton is a producer in Rioja Alta that produces some great wines which I have had the opportunity to taste. Bodegas Breton started in the early 1980’s in the town of Logrono, which along with Haro is one of the principal towns in Rioja. Recently Breton opened a new bodega in the village of Naverette. The winery owns several vineyards, including Vina Lorinon, which is a 100 acre vineyard located along the south bank of the Ebro river. 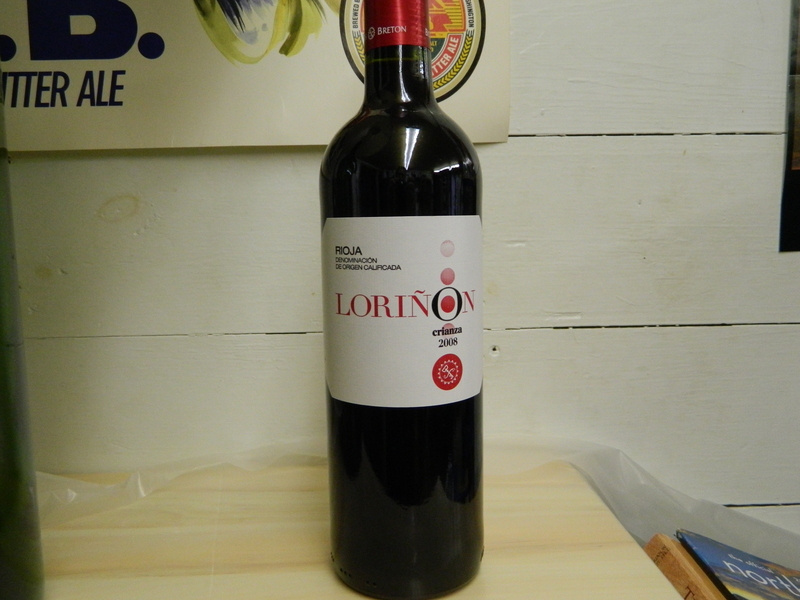 Recently I tried a 2008 Crianza produced by Bodegas Breton known as Lorinon. This wine is 100% Tempranillo and was aged 14 months in American oak. This wine is referred to as a Crianza, meaning it is required to be aged at least 2 years, with one year in oak. Now Tempranillo is one of my favorite grapes, and this wine was no disappointment. It had a ruby-red color to it along with hints of spicy light red fruit along with some earthiness. Medium in body, it had excellent acidity to go along with flavors of red raspberry and a nice crisp finish. This would be excellent to pair any sort of red meat dish, as well as anything with a little spice, and by itself was an excellent glass of wine. There are alot of great wines coming out of Rioja, and I look forward to trying more soon.